With flavours that change weekly to bi-weekly depending on the chefs’ moods and creative bursts of energy, Kem CoBa is almost always bumping, especially on the hot days. It isn’t uncommon to see a line spilling out the front steps and onto the sidewalk. You’re in luck though, the line here usually moves quite quickly. Going on several occasions and merging those photos into this one post, we had an amazing experience each time we’ve gone so far. 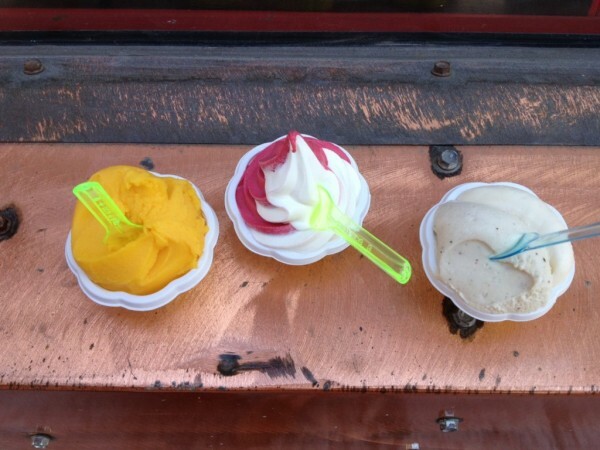 The first time around we had the soft serve flavours swirled together in a cup. 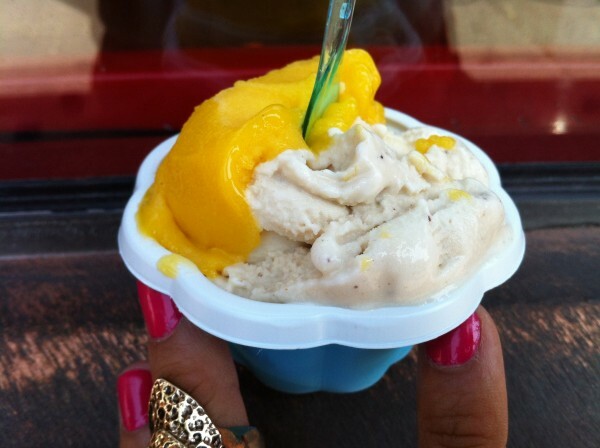 The flavours were coconut and Florida orange sorbet. Fresh and light, with a sweet and citrusy kick, these flavours were twistedly delicious. Second time around, we had a combination of a few flavours. I would have gone for the soft serve again but two weeks hadn’t yet passed since I last went. What can I say? 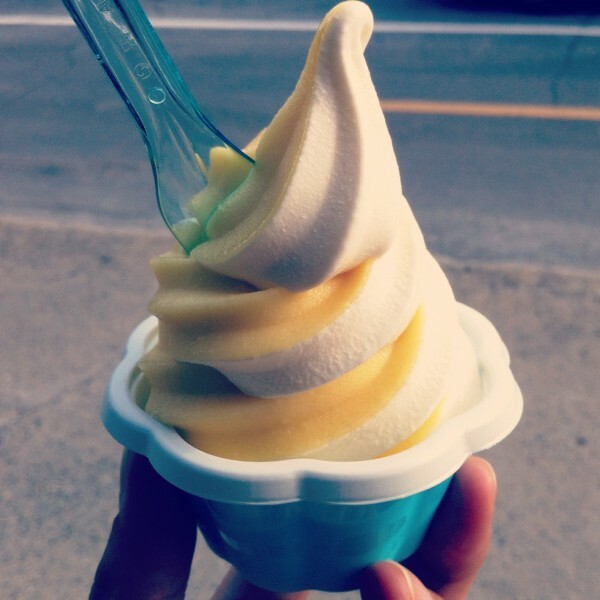 I counter hot days with cold ice cream. You should too! 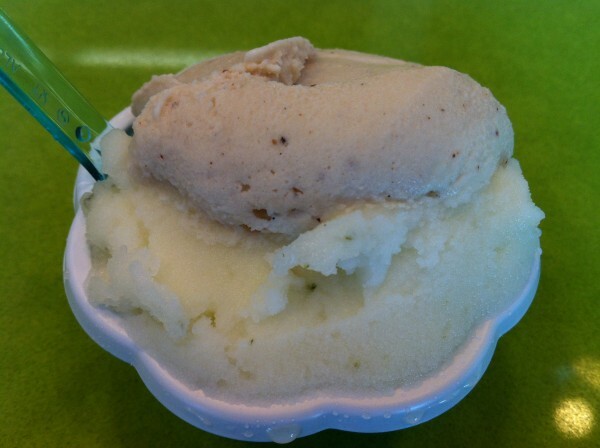 We had the passionfruit, masala chai, lime-mint and mango all mixed and matched together from the sorbet and gelato section. Each one was mouthwatering in its own way but my favorite of the bunch here is the masala chai for its uniqueness and its gingery, spicy and very unique taste. 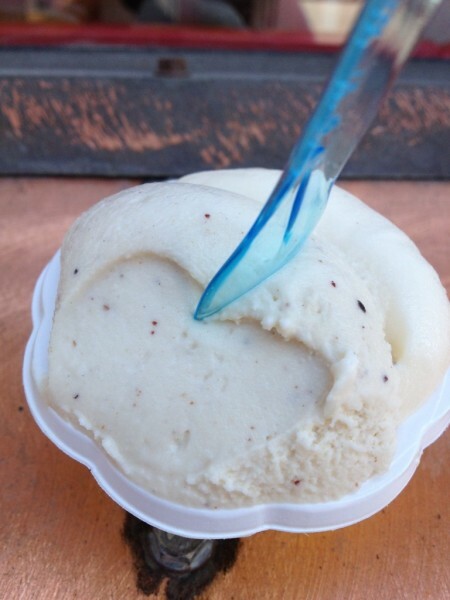 Most recently, we went back for the newest edition of Kem CoBa’s soft serve: cherry and almond milk. Of course, we got them twisted together – an interesting and unique combination at the least. 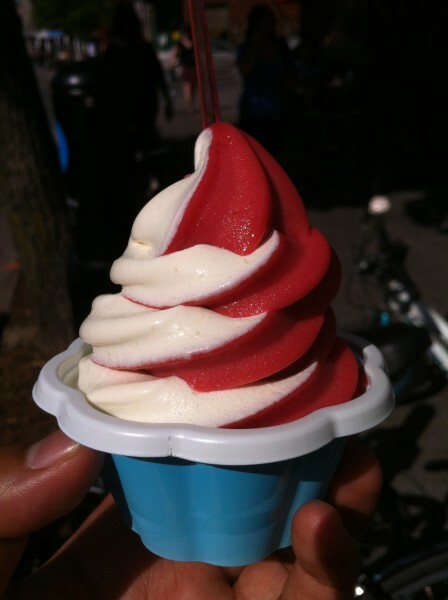 It was nice to see an ice cream that was cherry flavored in full. Usually you see ice cream with chunky cherries in it or something similar where cherry is present and sort of in the background but never the main star. Kem CoBa took it to the next level, kept their faith in the flavor profile and went with it. I think they did well. Mixed with the light almond milk flavor, it was just perfect. Summer is back, folks and Kem CoBa is ready and waiting. Here are some of our scoops from this summer so far. 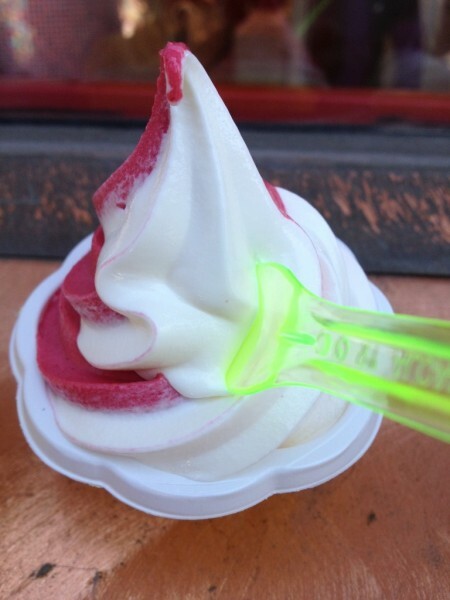 The lemon and strawberry soft serve is simple, but it does the job right. Sometimes the simplest things can be the best and in this case, I would have to agree. The chai you already know about, but the salted butter is a new flavour for us. I didn’t particularly like it, but to each his own. I would taste test this flavour first before committing to ordering it into your cup or cone. Maybe not for everyone. 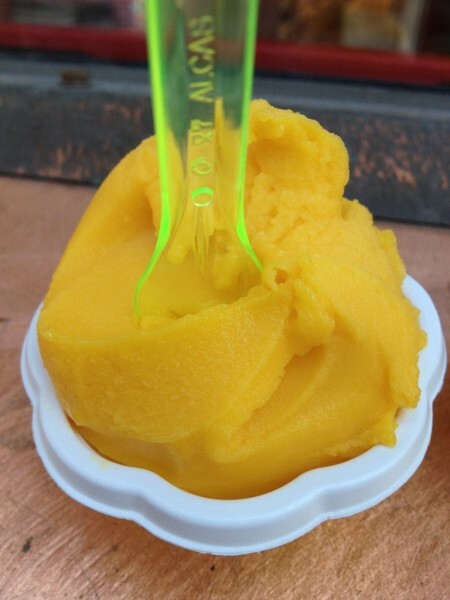 It’s worthy to note that the mango sorbet is ridiculously mango-ed out – it’s dense and so flavourful that each bite almost tastes like you’re actually eating a cold, melt-in-your-mouth real mango, just in a different form. I don’t know if this makes sense, but it’s legit. Needless to say, hop on your bike and get over there! Tags: Almond Milk, Cherry, Coconut, Fairmount, forkandtell, Homemade, Ice Cream, Kem CoBa, Lime-Mint, Mango, Masala Chai, Montreal, Orange, Passionfruit, Soft Serve, Summer, Treat.